With over two decades in the aviation profession, David “Dave” Pflieger serves as CEO of Hawaii Island Air, an airline that connects the islands of Maui, Oahu, and Lanai in Hawaii. Prior to his current work there, David Pflieger led the highly successful restructuring and turnaround of Air Pacific which he rebranded to “Fiji Airways”. Dave was also the Chairman of the Board at Tourism Fiji, the national tourism arm of Fiji itself. Visitors to Fiji have a host of outdoor adventure activities at their disposal, like boating, cave and helicopter sky tours, parasailing, and numerous other attractions on the islands. The country offers a plethora of hiking opportunities, like the Dawasamu’s Tova Peak hike in the District of Dawasamu, Tailevu. Aquatic locations, like Beqa Lagoon Reef, offer snorkeling opportunities provided by fishing charters and cruise ships. All levels experience levels are welcome to snorkel since the companies hosting the tours provide any necessary gear and instruction. An extensive wildlife park in Fiji can be found at Kula Eco Park, which provides the opportunity to experience many native animals, including the endangered Fijian iguana. 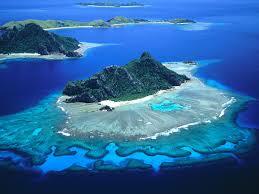 Visit http://www.fiji.travel to learn about more visitor attractions in Fiji.